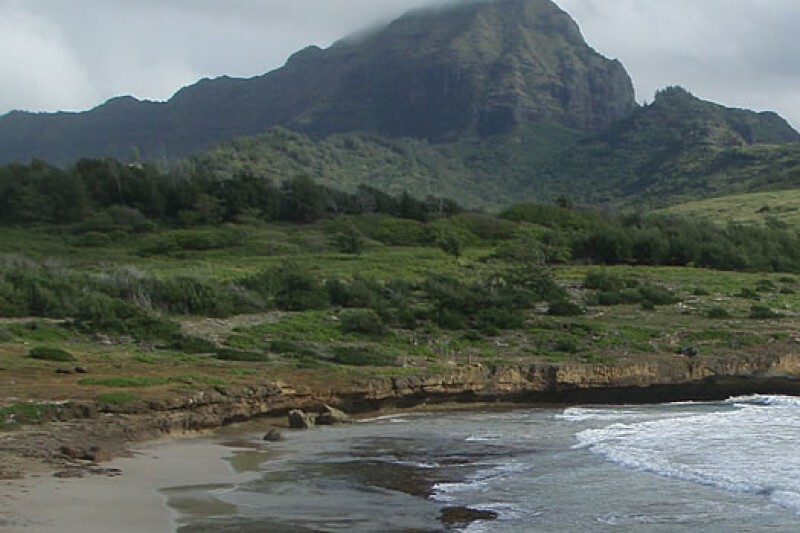 Situated on the southeast shore of Kauai, Mahaulepu is known for its dramatic coastline and pristine areas. As any online image search will show you, Mahaulepu is characterized by striking scenes of natural beauty and it is home to many threatened and endangered species. Experiencing Mahaulepu is a special treat for visitors and an ongoing delight for residents. Funded by Internet billionaire Pierre Omidyar, an industrial dairy threatens to ruin the fragile ecosystem of Mahaulepu. The planned presence of up to 2,000 cows will pollute the land and sea, altering the area we love so much. With their plan to leave the cattle waste where it falls, the Waiopili stream that runs through the property as well as the planned irrigation and natural rainfall will carry waste to the ocean less than one mile downslope. Prevailing trade winds will carry the stench and biting flies into the Poipu tourist area less than two miles away, redefining and tarnishing the Kauai experience for those who come to enjoy the south shore. Mahaulepu is simply the wrong place for an industrial dairy. We are a group of ordinary citizens united to resist this planned desecration of one of the loveliest areas of our unique island. It takes money to fight money, and your donations will go into the effort to keep Mahaulepu the way it is. The contributions of every one of you will go towards preserving the beauty of Mahaulepu for all who enjoy it. Everything you give counts towards helping our small group fight Hawaii Dairy Farm's well-funded effort. Your support helps ensure that residents and visitors to the south shore will continue to enjoy the abundant beauty that characterizes Mahaulepu today. Mahalo! For more information, visit friendsofmahaulepu.org or email friendsofmahaulepu@gmail.com. Mahaulepu is also known for its historic and archeological significance - see cavereserve.org. FOM has just been made the beneficiary of a $50K challenge, promising to match $ for $ all donations up to $50K. The donor has chosen to remain anonymous. Please donate now at http://www.gofundme.com/mahaulepu to help us reach our goal! Great news. As of May 14, an anonymous donor will match all donations up to a total of $50,000! This new challenge will greatly help us raise the needed funds to continue our quest to keep Mahaulepu free of the devastation of an industrial/factory dairy concentrated in this pristine area. So your donations now will have twice the effect. Mahalo! Friends of Mahaulepu and the Kauai chapter of the Surfrider Foundation mailed a petition Thursday to the Department of Health and its Environmental Health Administration calling for the Waiopili stream to be listed as an impaired waterway under the Federal Water Pollution Control Act. They also requested the public health warning signage. From the March 13 Garden Island newspaper: "Intent to Sue Filed Over Dairy" ( http://goo.gl/jCGwKG). The issue is the assertion that the proposed industrial dairy is in violation of the federal Clean Water Act. There is a 60-day statutory period for the dairy developers to respond, after which a federal lawsuit can be filed. This is an important step. Thanks to Bridget Hammerquist for her amazing work regarding the dairy. I am thrilled to know that, for now, no plans to go forward with this terrible idea. I want to give a big thank you to everyone involved in this effort and let you know you have our support. Keep up the good work!